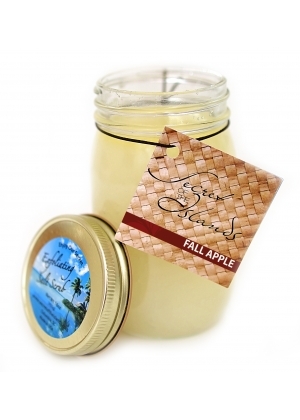 This fragrance is the aroma of a red juicy apple combined with buttercream and cinnamon with a base note of a baked oatmeal cookie. Our secret salt scrub recipe uses the power of nature to soothe and exfoliate leaving your skin feeling like silk. Using this treatment on your hands, feet and body nurtures the soul and helps maintain youthful looking skin. 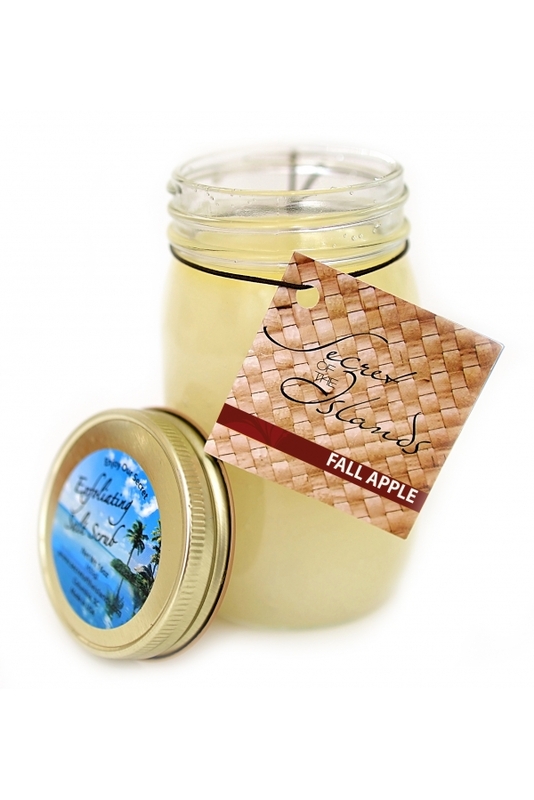 Our Fall Apple scent is a favorite among many and is a must have for your home. Pair with our Exotic Body Butter to seal in moisture for even longer lasting results! Escape to the Islands and Enjoy our secret. . . .